Male has a grey crown with a distinctive white supercilium. Ear coverts, throat and shoulder are black. Mantle is grey , underparts whitish with a rusty orange vent.. Female lacks black throat as in male. 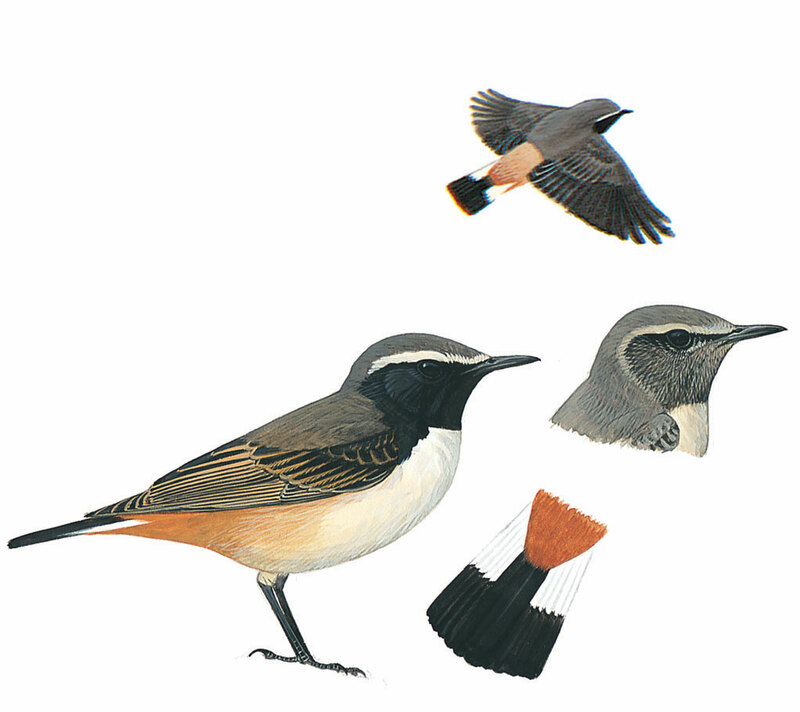 Tips of tail feathers are black with two white lines, and are a red broad colour extending towards birds' body. Prefers stony or barren hillsides with low scrubby vegetation.